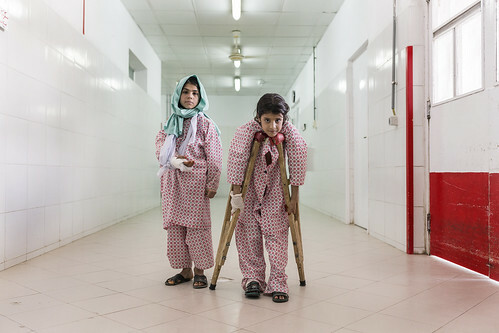 Walas Bibi, 10, was near her house in the Nad Ali district when her right arm and abdomen were wounded during a firefight. 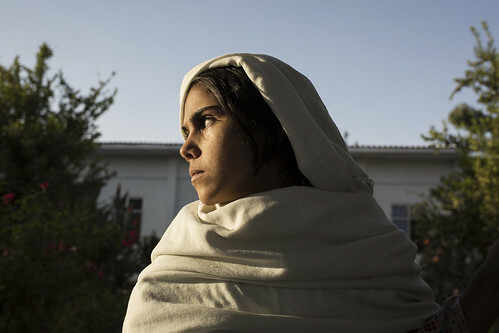 Living in Helmand, a province in southern Afghanistan, means living through the reality of war on a daily basis. Her family, who have become used to the endless fighting, were trying to lead a normal life without constantly thinking about the risk of being hurt. However, that day war knocked on their door. 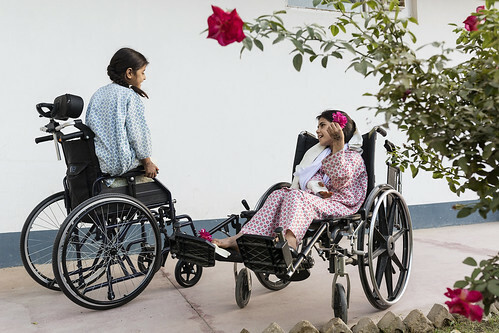 Walas Bibi was immediately transferred to the EMERGENCY surgical centre for war victims in Lashkar-Gah and, after a few weeks, started feeling better. Her right arm is still badly injured and needs medical attention, so she has to stay in hospital. 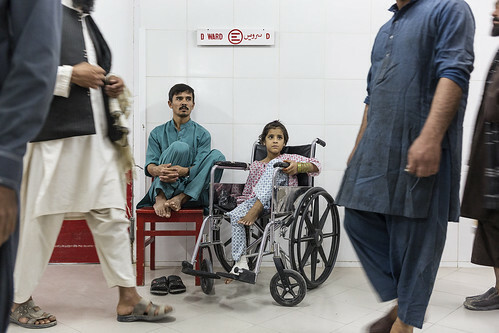 Zubaida, 8, had her legs injured by a mortar explosion while she was going to fetch water near her house in the city of Sangin, a town in Helmand province. She also arrived at the EU-funded centre and her condition is now stable after treatment. 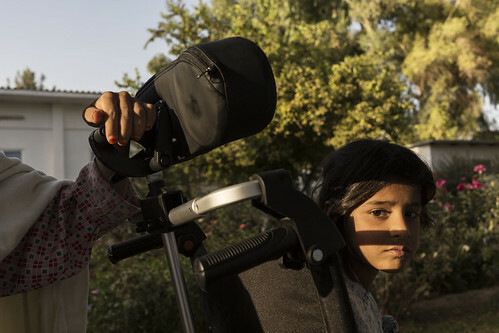 Visiting day is a sad one for Zubaida: her father died a few weeks ago and her mother cannot reach the hospital due the unstable security situation. Zubaida is in the corridor, watching the crowd of visiting relatives and busy staff. The two little girls often spend the day together. They play and have fun with the other children or with the flowers that give the hospital garden so much colour. This is how they try to forget the pain of the wounds caused by a war that keeps making so much noise outside. From the EMERGENCY Surgical Centre for War Victims in Lashkar-Gah.